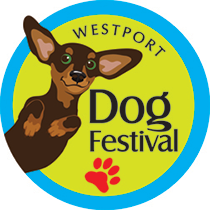 Welcome to the Westport Dog Festival Competition Sign up. It's time to be fun, creative and confident. Bring your dog and a have a great time. We will be holding 7 different competitions you can enter your dog in as many as you'd like. Each entry is $5. Pay on site, day of festival. The judging will be done by Westport's Elected Officials, Jim Marpe, Jen Tooker, Melissa Kane, Will Haskell, Jonathan Steinberg, Tony Hwang and Gail Lavielle. They all support the festival, but these judges will be tough. Best Singer/Barker - Let's hear it!! !